As a blogger, I will tell you that I am pretty much always connected to the web. Or I can connect to the web in a matter of minutes. That’s where my people are, and a huge part of blogging is connecting to my community. I am a work-at-home mom, but a lot of my work actually happens on my mobile phone, whether I’m at home or not. There are certain sites I access regularly. It’s so much more time consuming to type in the web address every time I need to access a site. 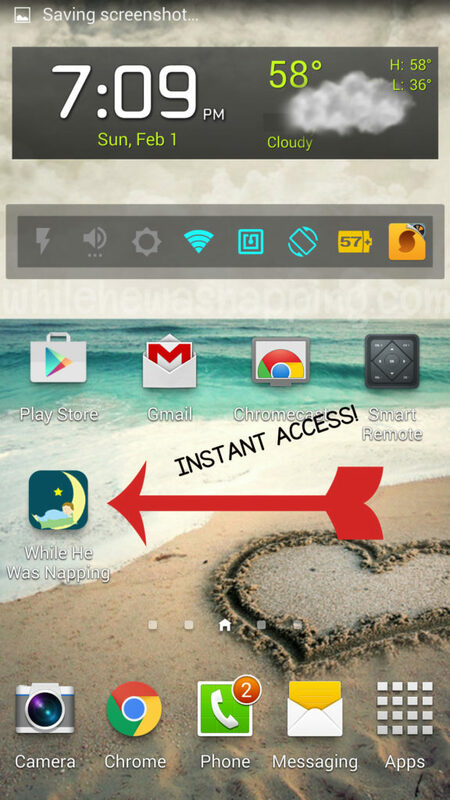 So, I create shortcuts that allow me to instantly access favorite websites from my phone in a single click. One of the sites I frequently visit is my own. Whether I’m checking formatting, copying URLs, or referencing different content, I probably access my site between a half and two dozen times a day, depending on what I’m doing. Since typing in the URL every single time would be cumbersome and annoying, I set a shortcut on my homescreen that I can press and it will automatically load my page. 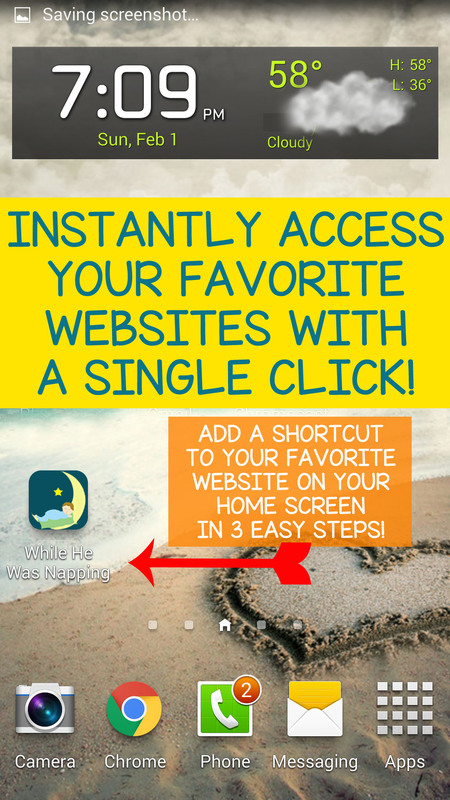 Want to instantly access favorite websites with the touch of a single icon? It’s amazingly simple to set up and such a time-saver. I’ll tell you how to do it in the Chrome browser; it’s a simple three-step process. Seriously. If you’re running iOS or using a different browser you can check out the links at the bottom of this post for step-by-steps on your particular browser. – Open your browser and type in the web address for the site you want. 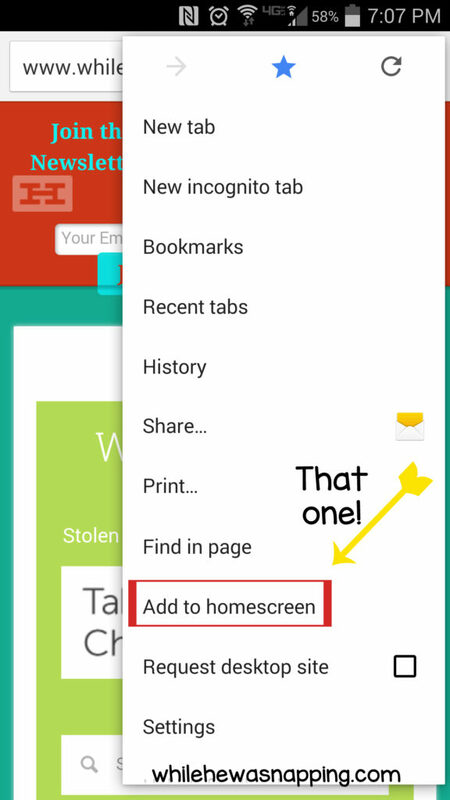 – When the page loads, hit the settings button and towards the bottom is “add to home screen”. Yep, select that. 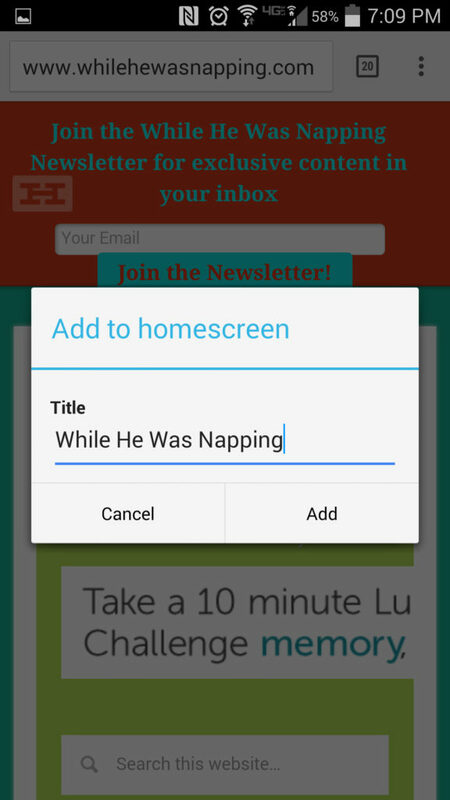 – You can edit the title that appears under the icon on the home screen if you want. Select “Add”. – And now you are set to go! Test it out. Pretty awesome, right? Just think of how much time you’ll save!